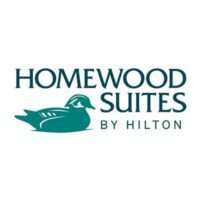 Homewood Suites by Hilton is an American all-suites residential style hotel under the Hilton Worldwide Company. It has over 350 hotel locations in the United States, Canada, and Mexico, most of which are operated by independent franchisees. It was established in 1989 by Promus Hotel Corporation in Omaha Nebraska. It is one of the Promus Hotel Corporation-owned hotels to be acquired by the Hilton brand in 1999. Homewood Suites was recognized as “Top Extended-Stay Hotel” in 2010 by the J.D. Power & Associates North America Hotel Guest Satisfaction Index and “2011 Extended-stay Hotel Brand of the Year” by Harris Interactive. The company provides a competitive remuneration and benefits package which includes flexible schedule, health and life insurance, 401 (k) retirement plan, paid vacation and trainings. People love working here because the company is committed to achieving industry-leadership by providing high-quality services and state-of-the-art business and pleasure suites. It also invests in enriching the knowledge, talents and skills of its people. How old do you have to be to work at Homewood Suites By Hilton? It requires its applicants to be at least 18 years of age to be considered eligible for any available position including hotel and corporate jobs. Room Attendants – They are in charge of ensuring the cleanliness and orderliness of guest rooms in accordance with company standards. They also attend to requests and needs of the clients. House Persons – They are responsible for maintaining the cleanliness of lobbies, banquet, conference rooms and offices. They are expected to adhere to company protocols and policies regarding the standard arrangement and appearance of the mentioned public spaces. Sales Coordinators – Their key role is to provide support to the Sales Manager in general sales, marketing, administrative and clerical tasks. They are expected to be good communicators, detail-oriented and proficient in office software. Guest Service Agents – They are tasked to greet and welcome and facilitate the checking in and out of guests. They should be widely knowledgeable of hotel services and policies and build excellent customer relations. Other common jobs in this company are: Service Host or Hostess, Laundry Attendant, Housekeeping Supervisor, Property Maintenance Technician, Night Auditor, Front Desk Attendants, and Customer Care and Relations Specialist. The company hosts a Careers section in its website where applicants can easily access available jobs as well as the job responsibilities and requirements. They can also directly apply and submit relevant documents online. Applicants can also opt to apply personally in hotel locations. However, the management prefers that they use the online application site as this is faster and more convenient. In filling out the application form, contact information, educational background and previous work experiences should all be provided. To avoid confusion, it is recommended to use one email address for the entire hiring process. To write a good resume, use the following pro-tips: place the most important qualifications above the fold, use reverse chronological arrangement to highlight more recent experiences, use bullets instead of paragraphs and limit the document to two pages at most. To make a good impression with the employer, applicants must prepare for the interview by rehearsing the way they discuss their qualifications based on the curriculum vitae, application details and other submitted documents. The company culture is centered on innovation, quality and success. It aims to continue its industry leadership by staying true to its vision of providing outstanding hospitality. Hilton was recently named as one of the World’s 25 Best Places to Work by the consulting firm Great Place to Work. The selection process was based on areas including training and work-life balance support. The umbrella brand Hilton Hotels, is known for being the largest and fastest growing hospitality companies in the world, with over 4,700 hotels, resorts and timeshare properties in more than 104 countries and territories. The company is engaged with numerous social responsibility programs including projects for caring for the environment, hiring of veterans, strengthening tourism in vulnerable communities and helping young people start their careers in the hospitality industry.